Are you afraid of Google? If you think of it, the amount of information it knows about you is pretty unsettling. But the majority of people are OK with that because it makes their lives easier in so many ways. I personally am one of them. But what if people continue being OK with everything it introduces and as a result, they end up abandoning their right to privacy completely for the sake of safety and transparency? It's a 21st century kind of Utopia, and one very easy to imagine. 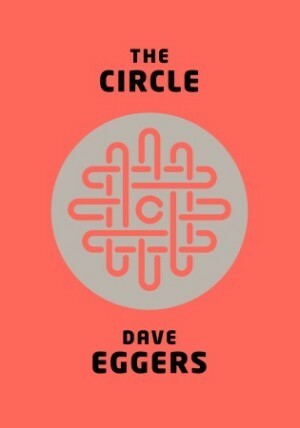 The book starts with Maya's first day on a shining high-tech campus of a huge search engine / social network / everything company called the Circle. She can't be happier to land the job, although the demands are pretty high. She integrates more and more into company's life while disintegrating from her friends and family. Eventually, she becomes the center of the big changes in the company's policies and services. I really enjoyed the writing. Well, maybe "enjoyed" is a wrong word, let's say it was very appropriate. It was unstoppable and hectic, as constant updates and notifications are. You can feel how excruciating being always online and worrying about it can be. Everything is happening in the real world and then of course the immediate flow of comments and likes comes. You can feel the irritation growing inside you as you are always told what's happening on the virtual plane too. And it is really great writing, because this is exactly how the characters' brains work - always paying attention to the flow of reactions on the Internet. 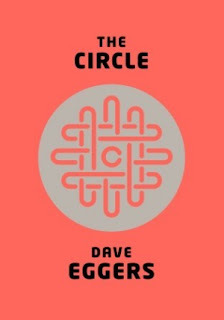 I liked how Eggers explored a lot of possible consequences of every new technology, it is all very believable. Sometimes what was happening was a tad bit over the top though, so no fifth star here, but a great read nonetheless. In my book: A perfect read for both technology junkies and those who are wary of this whole new online thing. Dewey's 24 Hour Readathon Sign-Up.